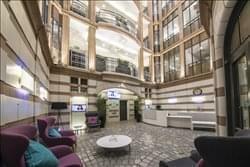 Rent serviced offices in an historic City of London building with business centres available in both 23 and 27 Austin Friars. Photo credits: Balls Brothers Austin Friars by Balls Brothers Austin Friars. Austin Friars was the name of an Augustinian friary in the City of London from its foundation, probably in the 1260s, until its dissolution in November 1538.